My son wanted tacos for dinner and my daughter pasta. What was a mother to do? 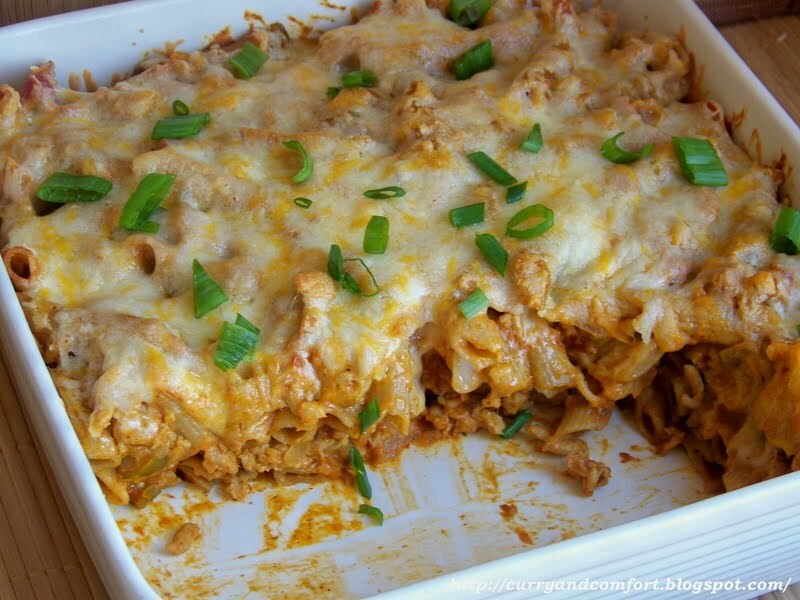 So I decided to put them together and I ended up with this Taco Pasta Bake. Now it's a new family favorite. 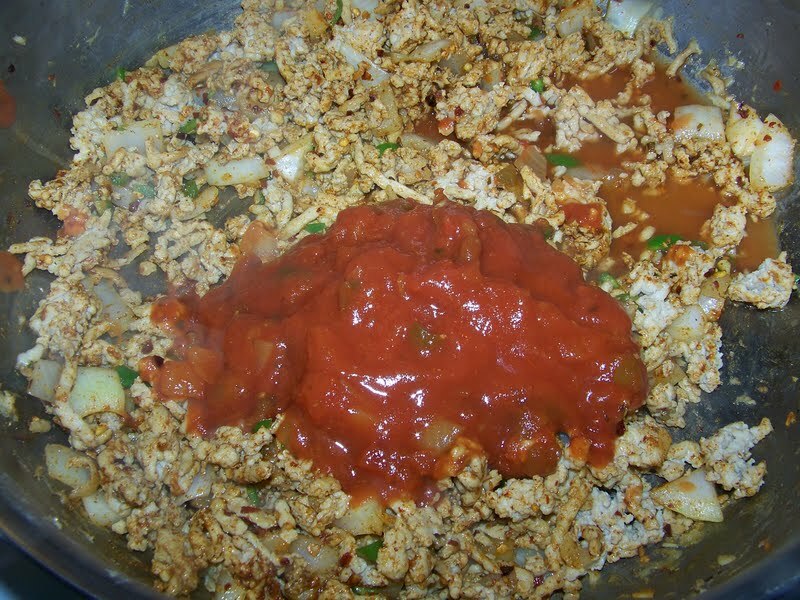 Note: Cook 1lb of pasta prior to making the Taco Meat Sauce. I used 100% whole wheat pasta. 1lb of lean ground meat (any kind). I used ground chicken. Brown the meat and add the onion and garlic. 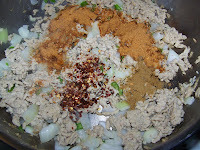 Then season with the Taco seasoning, ground cumin and red pepper flakes. 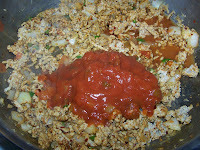 Now Add the salsa, water and lime juice. Simmer for a few minutes. 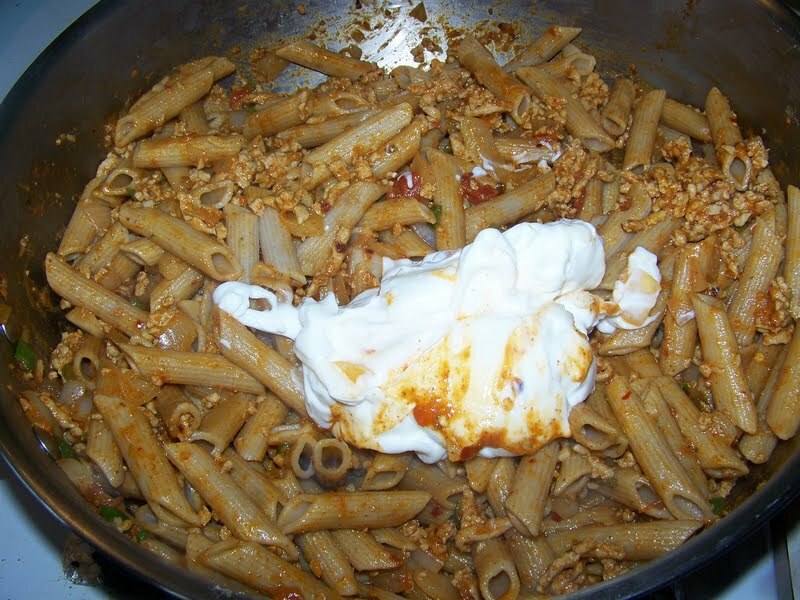 Mix the cooked pasta with the taco meat sauce and a 1/2 cup of sour cream. 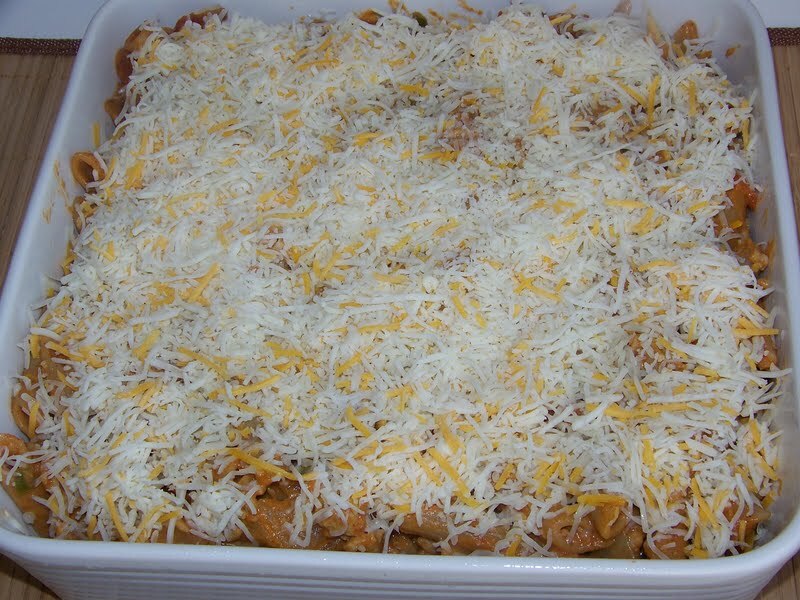 Spray a baking dish with cooking spray and fill with your cooked pasta. 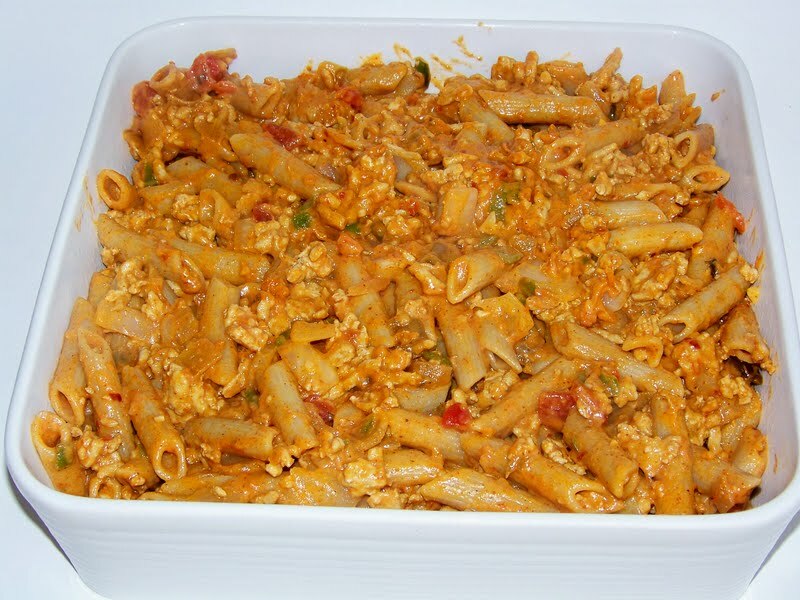 Cover pasta with shredded Mexican cheese. 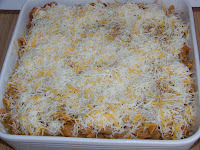 Bake in a 350 degree oven for 15-20 minutes until the cheese is bubbly. Serves 4-6. Eat with a green salad for a balanced meal. Enjoy. This is ingenious! And both of your kids are happy! How awesome! This looks really good! 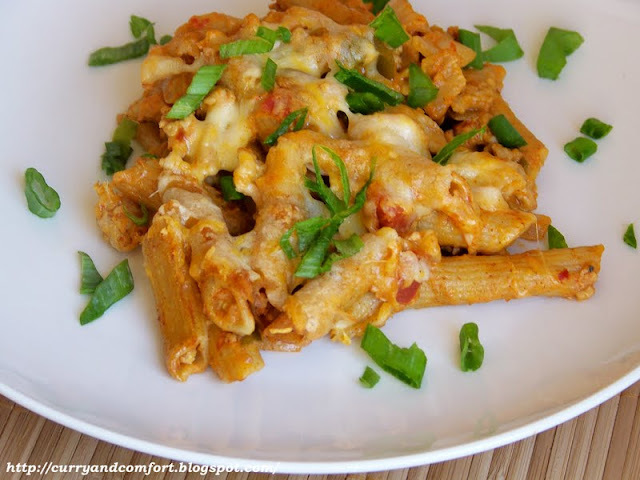 I am always looking for meals that my kids might like - and this one looks like a winner!! Just visited your blog for the first time - SO glad I did!! You're a fantastic mom. Want to join this dinner! Wooow that is one fab meal!! That would be gone in one sitting... terrific recipe! That a fanatstic meal. 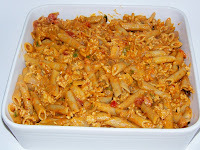 I love pasta .. never baked it though !! great recipe. This sounds so awesome. It sounds like something that my fmaily would love! The ultimate in fusion cooking! Oh be still my heart! I actually saw this earlier, had it up on my screen and then had to take Dudette out so it disappeared. But, I knew it was there and came back to it. I'm so glad that your kids were torn on what they wanted and got you to improvise up this amazing dish. I will be making it. Nice invention! I love how you managed to please everyone with one dish. That is a major accomplishment in my household. 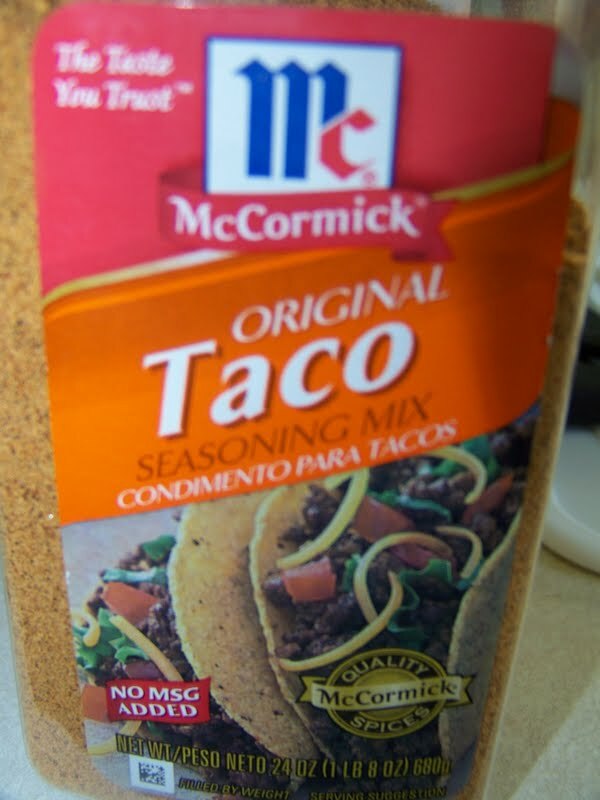 This was really good - I thought the taco seasoning might be too strong, but it was really just a hint of it and it tasted really good! My children are going to love this!